KEW ENGG. & MFG. PVT. LTD. India, a leading manufacturer, exporter, and supplier of Cloth Guider from last 25 years, India. High quality Cloth Guider Manufacturer India with heavy duty process. Designed for accurate performance to use in dry as well as wet fabrics with high quality process. 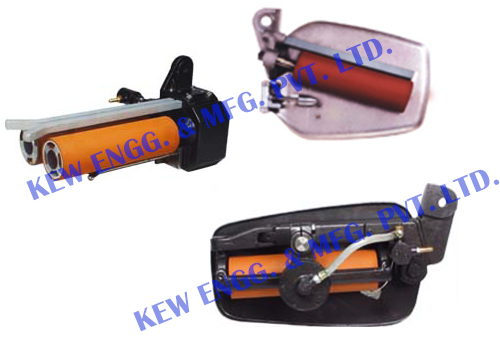 Also, manufacturer of Air shaft, Bow Roll, rubber roller, web guiding system, unwinder rewinder system and many more equipment. Moving roller of 80mm die, 280 ce length – Synthetic rubber / polyurethane /stainless steel. Web edge sensing – mechanical by feeler lever.